This will delight Liam Fox and his 79 other friends at the extreme right-wing head-bangers at the ERG who are all in love with Trumps America. They want nothing more than to ‘Make Britain Great Again.’ And no doubt they want to do it ‘bigly’ no matter the consequences. 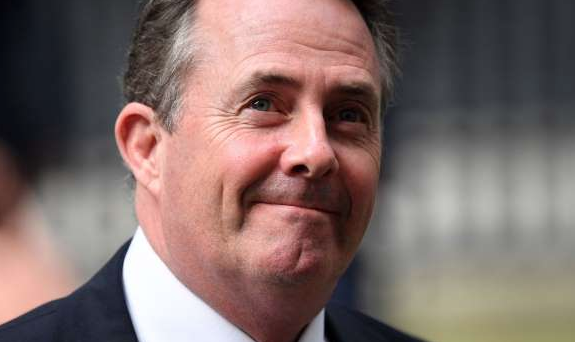 The government must be thinking that all other options are now heading in the same direction with only 70 days or so remaining on the clock – but then again, who knows what this deluded government are thinking. Either way, they are calculating that No-Deal is now more than a 50:50 bet. After surviving another vote of no-confidence, this time put forward by Jeremy Corbyn, Theresa May has stated she will listen to all sides to break the deadlock. We don’t know what Theresa May’s so-called ‘Plan-B’ will be, and given her track record, she won’t listen to anyone anyway. 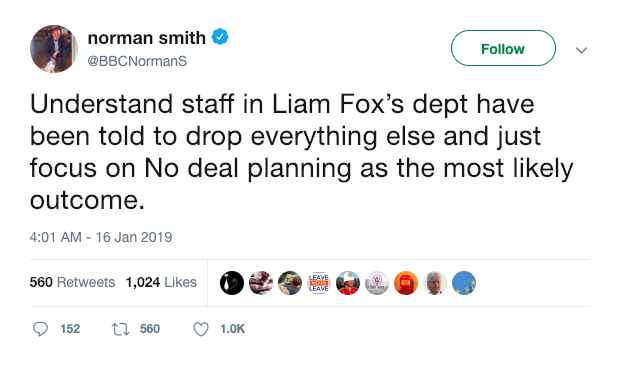 It appears from sources that preparing for a no-deal is of no great surprise. One wonders why.